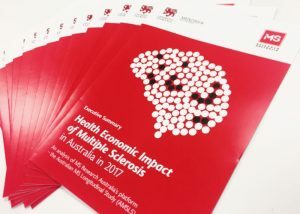 The Health Economic Impact of Multiple Sclerosis in Australia in 2017 report prepared by the Multiple Sclerosis Flagship Team at the Menzies Institute for Medical Research and funded by MS Research Australia was recently awarded the Research Impact Prize in the Menzies Excellence Awards. The Research Impact Prize recognises research that has had demonstrable benefits to society. This report has been pivotal for MS organisations Australia wide to raise awareness in the community and lobby government to secure a better life for people living with MS, their families and carers. 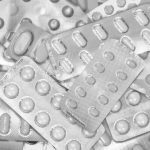 It provides an evidence based platform to raise awareness of the increasing prevalence of the disease, the cost of MS and the quality of life for those Australians living with MS. The research showed that the number of people living with MS in Australia increased by just over 20% since 2010 to 25,607 in 2017. 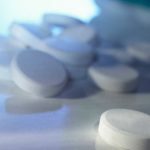 It also showed that total costs for all people with MS in Australia have increased substantially over time from $1.24 billion in 2010 to $1.75 billion in 2017. The Hon Scott Morrison MP launched the report at Parliament House in Canberra which enabled the key messages of the report to be widely distributed and translated throughout the media and the MS community. Read the Health Economic Impact of Multiple Sclerosis in Australia in 2017 report. Read the Health Economic Impact of Multiple Sclerosis in Australia in 2017 executive summary.